Next to air, freshwater has been always considered as a key resource and central for economic development and human’s basic needs. Currently, the total population is about 7 billion, and by 2050, global population is projected to be 9 billion. Additional 10 more Nile Rivers are needed, and the water demand is increasing steadily and significantly. On the other hand, more people are migrating toward coasts, the existing reservoirs’ capacity is continuously being reduced due to sedimentation by 1% annually; this has intensified the water deficit. In this paper, the water deficit is discussed, and a new technology of coastal reservoir and its successful application in Shanghai are presented, which can pump freshwater from the sea without desalination. 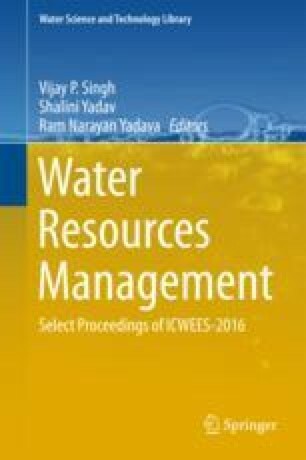 The preliminary designs of coastal reservoirs in Malaysia, India/Bangladesh, and USA show that the coastal reservoir is a feasible and effective technology in the world for the water crisis for water supply and flood disaster mitigation. The partial support provided by the National Science Foundation of China (51239001) is gratefully acknowledged.